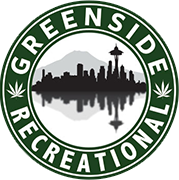 To handcraft some of the best cannabis in Washington State you need a state-of-the-art facility. Artizen Cannabis has just that, and is well-staffed with dedicated visionaries. Members of the Greenside Recreational staff were lucky enough to tour the Artizen grounds this summer, witnessing the cannabis company’s devotion to quality first hand. This Tier 3 producer and processor is based in Lacey, Washington and was created in 2014. The grow itself has CO2-enriched air, innovative water filtration and heating systems, grow-light technology and ceilings 30 feet high. Artizen takes the artisan approach by being calm and thoughtful in the treatment, cultivation and harvesting of their cannabis plants. These are referred to as “zen-like” practices. Every batch of cured cannabis flower is hand trimmed to ensure optimum yield, potency and flavor for the consumer. Artizen’s most popular strains include Mint Cookies, Allen Wrench and 2016 Dope Award Winner Dutchberry. To read more about this producer and processor, click here. Keep scrolling for more facility photos by budtender Chris!